Listed retail giant OK Zimbabwe has opened its fifth one-stop hybrid mega store, OK Mart, in Gweru. The new outlet is situated at former Jaggers along Gweru-Mvuma Road. OK has other one-stop hybrid mega stores in Harare, Bulawayo, Mutare and Kwekwe and are looking forward to opening another one in Victoria Falls in August. Speaking at the official opening in Gweru, OK Zimbabwe chief operations officer Mr Albert Katsande said the hybrid model was there to cater for domestic customers as well as bulk customers. He said the new entity would add convenience for both domestic and bulk customers through a diversified range of products on offer. 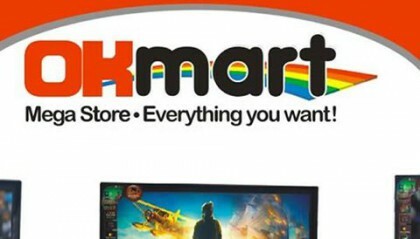 "The OK Mart concept is not exactly the same as the supermarket concept. It is a much bigger retail offering. It does not only cater for domestic customers but also services institutions, the catering industry, schools, traders and basically we can provide a higher and a broader offering to the community," he said. Mr Katsande said OK Zimbabwe would expand to Victoria Falls next month and spread to other cities as well. "We started with two outlets in Harare and Bulawayo after we felt that we must extend the service outside those two big cities to the rest of the country," he said. "Gweru was lagging behind because we would have been here two years ago. This is now the fifth OK Mart store in our stable and we are opening more. We decided to come to Gweru because the city needed something for its size." TM Pick n Pay has also opened its Meikles Mega Market in Gweru's Central Business District (CBD).